If you think vegan food is hard to find, you’re right, and if you think that vegan hawker stalls are near impossible to find, then you are also right. To find a hawker stall that strictly markets its food as vegan (i.e no animal products at all) would be very difficult, so let’s just narrow it down to vegetarian stalls that can probably offer vegan options. Although the stall is labelled as ‘vegan’, do not that their dishes are actually not vegan but you can tell them to remove the non-vegan products! Famous for their tasty noodle soups that do not contain MSG yet are also super comforting, it might be hard to believe that these dishes don’t contain any animal products! If you love the flavours of kway chap and chicken rice and want them in vegan form, try out this stall! Their dishes supposedly pack a delightful punch of flavours and will leave you wanting more. Do remember to specify that you want it vegan, though, so they can leave out any eggs or dairy. For the noodle fanatics out there who love dumpling noodles, hokkien mee and laksa, this place would be perfect for you. No flavour is compromised in the dish and all of them promise an impressive kick that will keep you coming back! 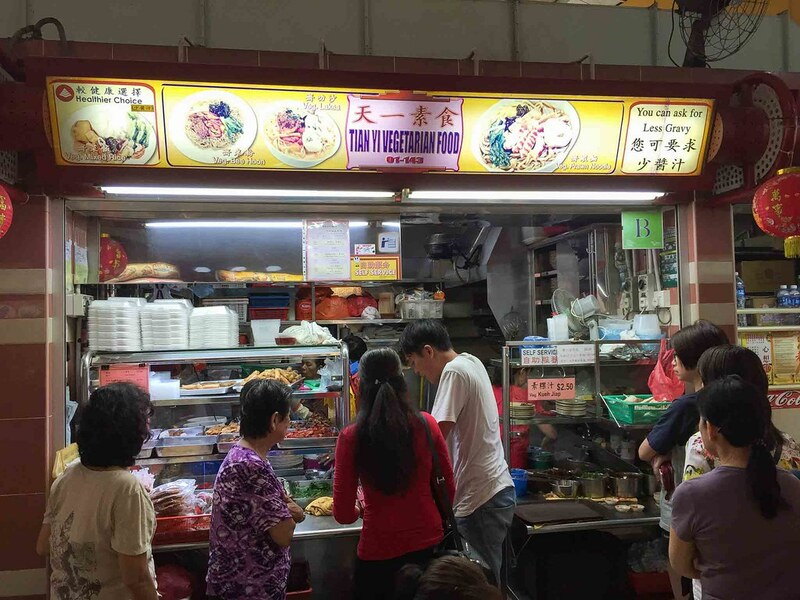 This stall serves up winning favourites such as char kway teow and their tonic soup with mock meat is said to be deliciously seasoned and flavourful. 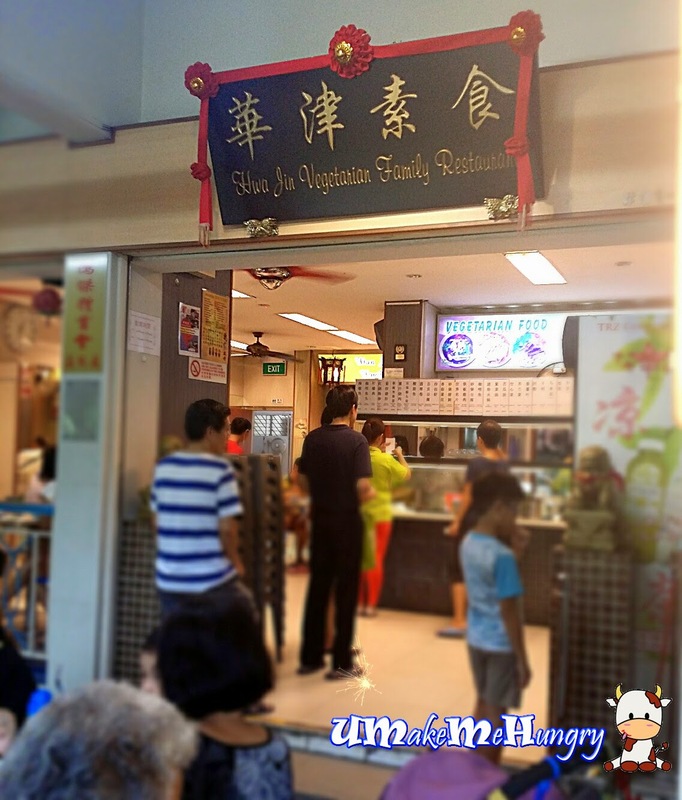 Lovers of yong tau foo and satay bee hoon can get their fix here. 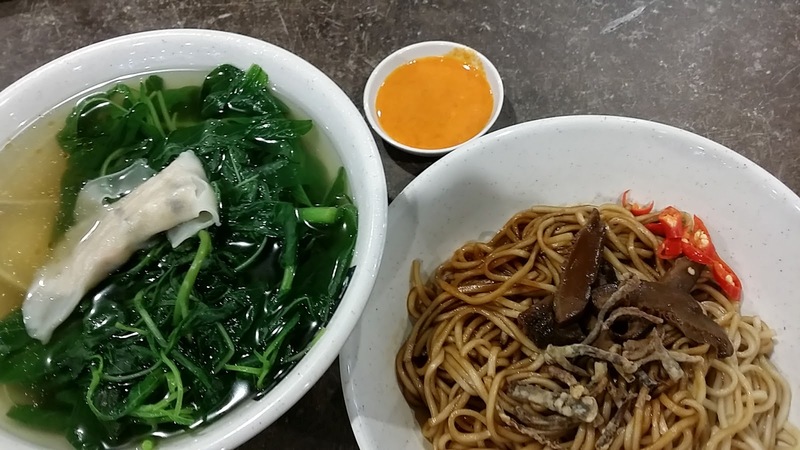 Although the array of ingredients to choose from here is not as large as a traditional yong tau foo stall, you’re sure to find something that you like because it’s all delicious! What’s interesting about this place is that it serves us rice sets (or rice bowls) modelled after bibimbap. The ingredients are fresh and delightful and will make for a nicely hearty meal.